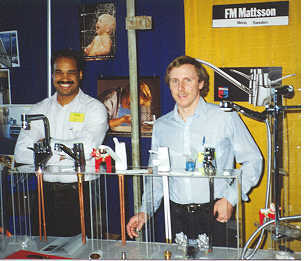 Quality: The FM Mattsson Company of Sweden has been manufacturing quality solid brass fittings, faucets and shower mixers for 130 years, and is now the largest tapware manufacturer in Scandinavia. 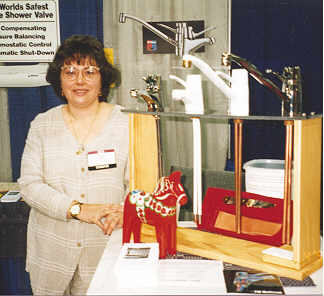 Today, Mattsson is the leader in the industry for technology and innovation. Customer Satisfaction: The Scanmix Corporation and FM Mattsson have built a partnership to bring a superior line of faucets and shower mixers to North America. Both companies are family run businesses that put quality and customer service at the top of their corporate objectives. Mora of Sweden, Quality genuine Mora Knives. Swedish quality knives and cutlery are a great gift idea for fathers, mothers, birthdays, graduations or you! Survival knives, hunting knives, woodcarving knives and special knife gift sets. 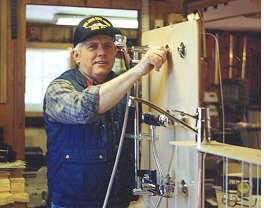 Custom cast Bronze Ship and Estate Bells. Cast in Sweden by our master bell maker in the centuries old sand casting tradition. You can have any lettering cast around the rim to commemorate a ship, home or special event such as a wedding, anniversary, birth, retirement or your organization. Mora Clocks: Each clock is individually built in our workshop from 3/4 inch solid pine and then hand painted in the traditional way using colors and designs from the folklore regions of Sweden. 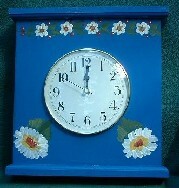 Each clock is lovingly constructed and hand painted by our Maine artisans and artists.